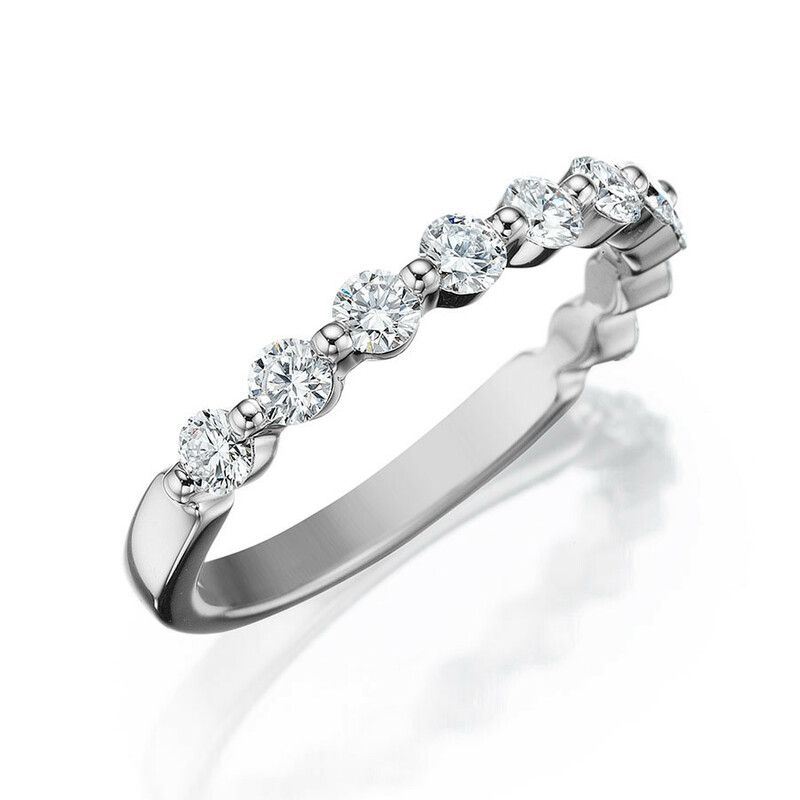 Many years of wearing pleasure can be yours with this 18K white gold and diamond band from Henri Daussi. It's appropriate to wear as a stackable ring and as a wedding band, symbolizing your intention to share your life with someone. 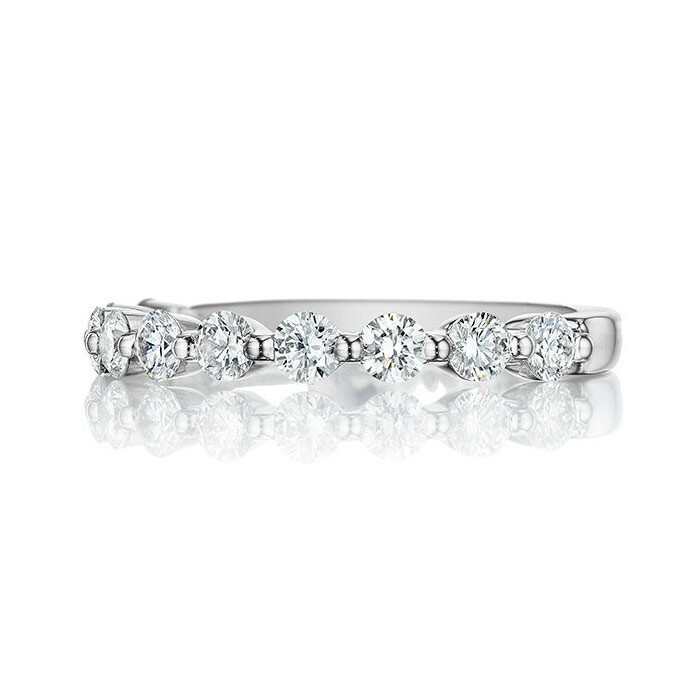 Crafted in 18K white gold, a single line of round brilliant diamonds in a shared prong setting sparkle and shine. This Henri Daussi band ring is sure to please!